In a key step to defend Earth from potentially devastating risks of near-Earth objects (NEOs) - asteroids and comets - whose orbits come within 30 million miles of Earth, NASA has released a federal planning document. The US space agency along with the Office of Science and Technology Policy, the Federal Emergency Management Agency and several other governmental agencies have collaborated on this federal planning document for NEOs, and have charted five overarching strategic goals to reduce the risk of NEO impacts through improved understanding, forecasting, prevention, and emergency preparedness. The 20-page document, titled "National Near-Earth Object Preparedness Strategy and Action Plan" aims to organise and coordinate efforts related to the NEO efforts within the federal government during the next 10 years to ensure that the nation can more effectively respond in case of such an event, which has a low-probability but can bring very high-consequence natural disasters. 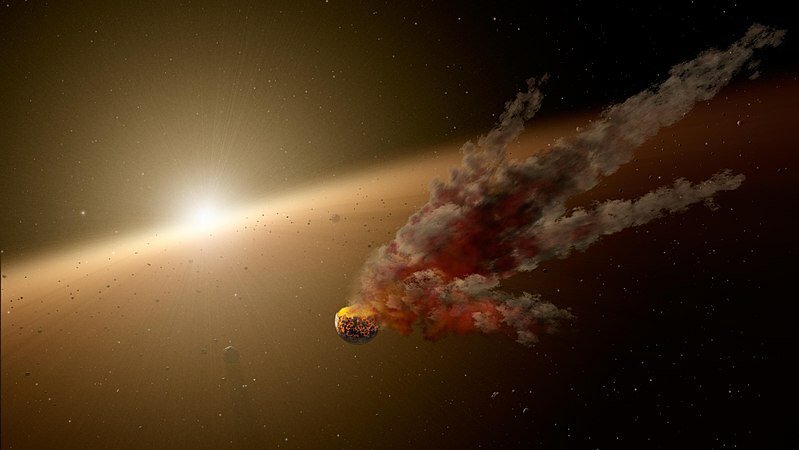 "The nation already has significant scientific, technical and operational capabilities that are relevant to asteroid impact prevention," Lindley Johnson, NASA's planetary defense officials said in a statement. "Implementing the National Near-Earth Object Preparedness Strategy and Action Plan will greatly increase our nation's readiness and work with international partners to respond effectively, should a new potential asteroid impact be detected," Johnson added. The action plan includes enhancing NEO detection, tracking, and characterization capabilities; improving NEO modeling prediction, and information integration. Achieving these five goals will, for a very modest government endeavor, dramatically increase the nation's preparedness for addressing the NEO hazard and mitigating any threat, the statement said. NASA has been studying NEOs since the 1970s. The agency initiated its impact hazard mitigation efforts with a project commonly called "Spaceguard" in the late 1990s to begin to search for them. To better organize US efforts, NASA also established the Planetary Defence Coordination Office in 2016. To date, NASA-sponsored NEO surveys have provided over 95 percent of all NEO discoveries.